The Cult Of Rezz has reason to celebrate, as today their favorite artist released a new track. 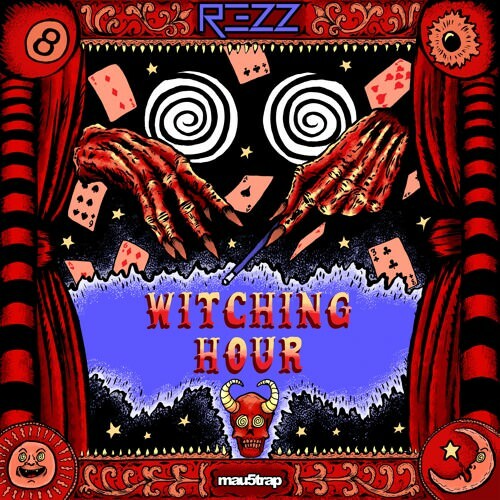 Rezz, known affectionately as Space-mom to her most devout fans, dropped ‘Witching Hour‘ today. Earlier this year Rezz announced that she would be releasing the follow up to her debut album ‘Mass Manipulation‘, this is our first taste. ‘Witching Hour‘ is the first track from her upcoming album Certain Kind Of Magic. The track is everything we expected from Rezz, and then some. The new album will consist of 8 tracks in total, 5 of which will be collaborations. Now all we have to do is wait for the rest of this album to drop. Certain Kind Of Magic is set to release August 3, 2018. Where do we even begin to start on this one. The track begins with some thready percussion, followed by a smooth airy build up, next is when the eerie synth starts, accompanied by a subtle bass. In come some short stabs, directly followed by kick. Immediately after we hear a weird, suspense filled audio effect, that you would normally hear in a horror movie paired with a quick snare build-up, then comes the drop. 0:34 is when the face melting starts, and the rest is history. As with any Rezz track, the drop is not something easily describable. With a play time of only 3:12, its amazing what Rezz is able to do in such a short amount of time, definitely A Certain Kind Of Magic. You can check out the new track below, enjoy.